Bad news for you the auto-enthusiast, especially if you are planning to buy a diesel SUV in Delhi. Supreme Court, India’s highest court has indicated that it may ban registrations of new diesel SUVs and luxury sedans in Delhi, the national capital of India. Although, the court has not yet ruled the judgement of banning registrations of Diesel vehicles, the judgement can happen anytime soon. The court will provide a detailed report on Wednesday (December 16) regarding the same. Trusted sources have reported that there are indications that court might restrict registrations of Diesel SUVs whose engine capacity is more than 2000cc. Also there are indications that environment cess fee for light commercial vehicles will be increased from 700 INR to 1400 INR and from 1300 INR to 2600 INR for heavy commercial vehicles. After hearing several petition which sought the complete ban on diesel cars in Delhi, the court has asked the Delhi government as well as the central government to produce a plan to control Delhi’s deteriorating air condition. Further, Supreme court has also asked the Delhi government to implement the odd-even car scheme on its own on a trial basis and then decide on the next course of action. The court has also asked authorities to ensure that only CNG based taxis would run in Delhi and that Euro 4-ready fuel is provided in Delhi and national highways to promote Euro 4 vehicles. 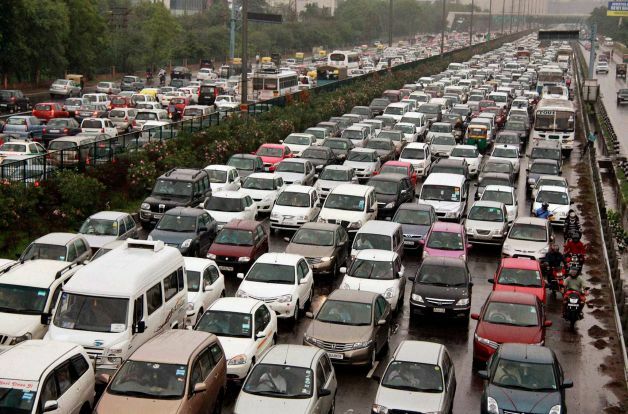 More than 23% of the cars which are registered in New Delhi are diesel. The diesel cars legally emits 7.5 times more than the petrol versions and is able to produce more toxic nitrogen dioxide. The Diesel emissions are actually leading to deadly diseases like cancer, says the World Health Organization (WHO).